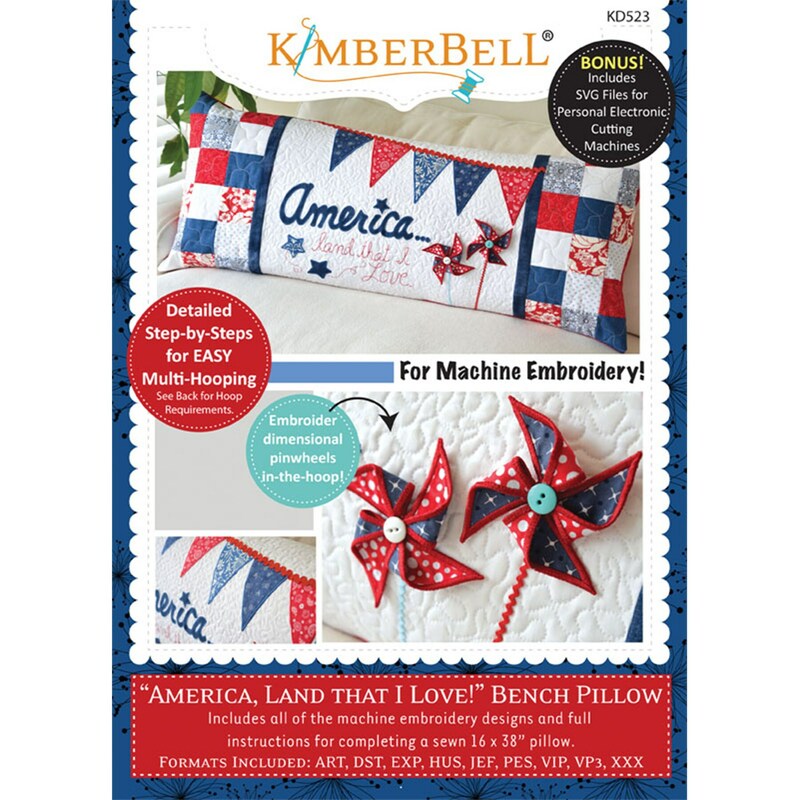 Now you can MACHINE EMBROIDER Kimberbell’s popular series of interchangeable bench pillow covers! Start by making one large “bench pillow” form. Then change out a new cover for that pillow form for each season or holiday! Machine embroidery appliques, instructions for making the pillow form and finished pillow are all included. Files for making the dimensional pinwheels in your hoop are also on this fun CD! Detailed step-by-step instructions for multi-hooping make this a fun project to decorate your home! 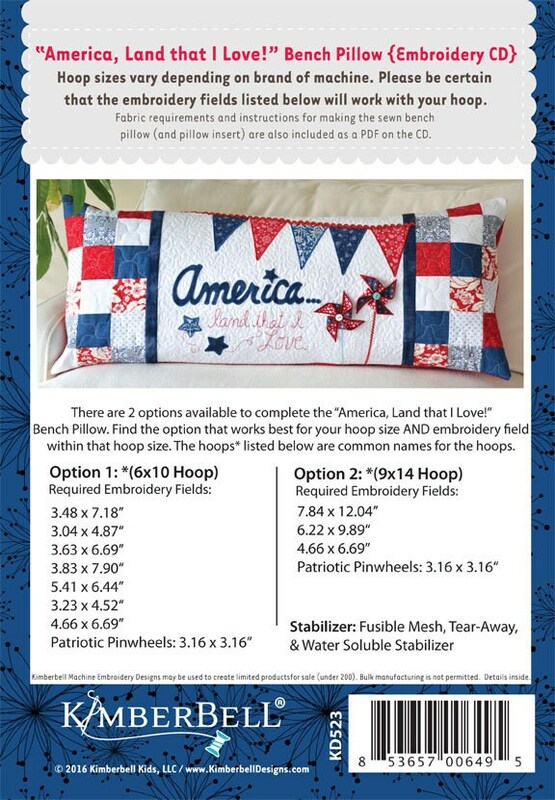 There are 2 “hooping” options available on the CD to complete the “America, Land that I Love bench pillow”. You can choose which option works best with the hoop you have. Common names of the hoop options are a 6×10 and 9×14. Since hoop sizes vary depending on brand of machine, the embroidery fields needed are listed on the back cover of the CD. Be sure to check this back cover in order to make certain that your hoop will work with the specified embroidery fields needed.